Just like we love watching the Cake Boss transform dreams into dessert, we love everything about his nursery! 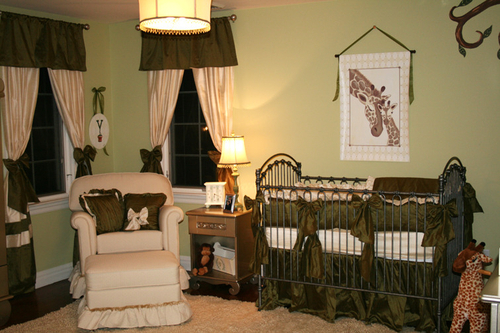 The deep greens found in the fabric encompass the whimsical safari themed nursery that the Valastro's dreamed of. 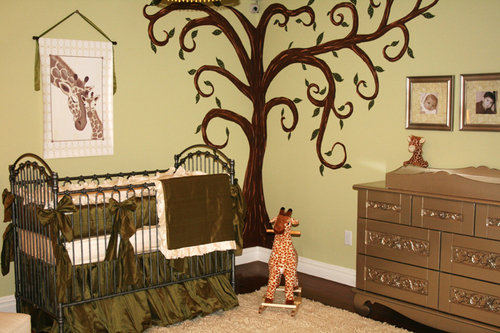 From the whimsical tree found on the wall, to the the safari decorative pieces found in the beloved giraffes around the space, this nursery is perfect! The furniture selections in the space help create the desired look. 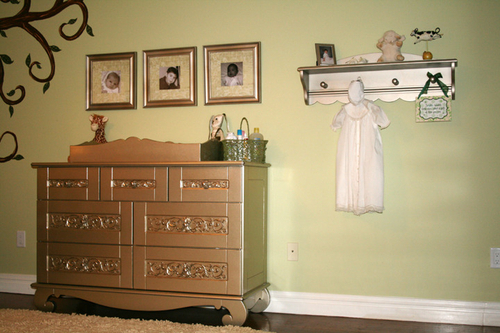 We love the whimsical iron crib and the elegant changing table with it's soft gold coloring and unique engravings. This nursery is very neutral yet bold. We love seeing our products in this beautiful nursery!